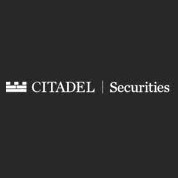 Citadel Execution Services (CES) has hired ex-UBS execution head, Paul Hamill, who will assume the role of global head of Fixed Income, Currencies and Commodities (Ficc). In his new role as the Ficc head at Citadel Securities, Mr. Hamill will be based out of the group’s New York office, where he will be tasked with augmenting the group’s fixed income operations – he is slated to begin in early 2015. Prior to joining Citadel, Mr. Hamill worked at UBS as its global head of Currencies, Rates and Credit execution services for a period of four years.